Serve on its own or with a side salad! Accompanying our quiche was a little arugula salad with a simple lemon olive oil dressing and parmesan. The best thing about this recipe is you can use whatever you have in your fridge. All that went into this besides the three base ingredients was the rest of the shredded cheese I had in the fridge, some deli ham, and a couple of green onions (and obviously a lot of love!). This is probably one of the simplest recipes you can make, and it helps you use up the food in your fridge! I hope you enjoy this quiche as much as I do! 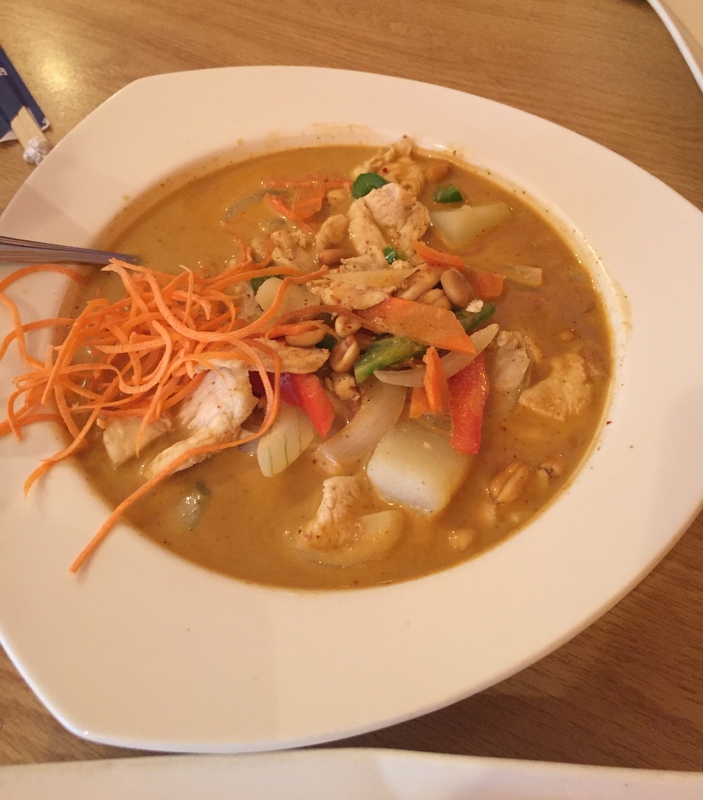 I would like to start off by saying this: Chaang Thai has the greatest thai food I have ever eaten in my life. A very bold statement, I know, but this food is fantastic. We discovered this place when we were dropping my brother off at college last year, and we had to find places that I could eat. I had pretty low expectations; I didn’t think West Virginia seemed like the kind of place where I would eat some of the best gluten free food I’ve had. I was proven very, very wrong. 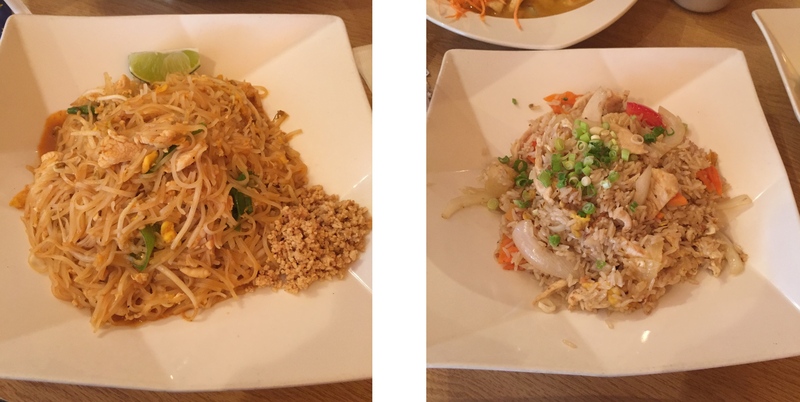 Every time we visit, the Chaang Pad Thai and Chaang Fried Rice are a must-have. We literally cannot go here without getting them. This pad thai is the best pad thai I’ve ever tasted. I can’t quite put my finger on what makes it so delicious, but whatever it is, it’s amazing! Ever since I tried this, I’ve tried pad thai from many other restaurants, but there’s just nothing that can live up to how good this is. As for the fried rice, while I cannot say it is my favorite fried rice ever (it’s a very close race between this and P.F. Chang’s), it is delicious. My favorite thing about it is that they put pineapple chunks in it—the pineapple gives it such a great flavor. I absolutely love both of these dishes! I love this place so much that when my parents went to visit my brother at WVU for a football game, I had them bring me back a meal from Chaang Thai. Another great thing about the food from here is that it’s just as good as a leftover. Specifically, this is nice for the pad thai, because in my experience rice noodles haven’t really held up well after being reheated. Overall, I love this place so much. There is no question that this is one of my favorite restaurants ever.